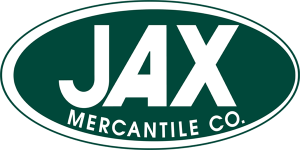 Jax Outdoor Gear knows fly fishing gear! They can get you outfitted for the best day on the river you’ve ever had. Kids love to fish, and Jax has a youth Fly Fishing Combo with hard case, progressive graphite rod, lightweight reel and line. Get your nets, pick up a pack, scoop up a hoop and head out. Jax has the gear for camping, climbing, fishing and hunting. Osprey packs are made for every type of outing. Don’t miss the Fly Tying Clinic, March 12 at 6pm. Visit the website to sign up. Visit the website for easy, online shopping – most items qualify for flat rate shipping. Live big in the great outdoors—and indoors—thanks to JAX!